Is there any surgeon or clinic rep that can confirm if anyone has ever had body/beard hair transplanted into the donor areas of the scalp? If this is possible this may allow plenty of more donor hair to those running low, and then transplant their body/beard hair into the donor (back and side) areas. Anyone would rather have less hair on the back and sides of their scalps rather than the top of their heads, and body/beard hair will look much better cut short on the sides and back of head. cole and arvind do this. arvind calls it donor exchange and cole calls it farming i think. I am sure there are others too. » farming i think. I am sure there are others too. But does chest hair match head hair? Even donor hair? Wouldnt it not blend in totally with your head hair and grow slower or faster? Thanks Marco. Has either doc posted their success with the results? Don’t you think this would be an idead option for those really low on scalp donor hair? To totally max out, and go beyond, on the donor to place into top of head, and then down the line place body/beard hair into the areas where donor was retrieved from? That should provide an extra 3,000 - 4,000 grafts! The body and beard hair can blend in with your own natural hair and be almost undetectable. It’s only cautioned not to use in the hairline unless absolutely necessary. But if body/beard hair are grafted into the back and sides of the head, it won’t be detectable at all. MOST of the men keep their sides and back short, some even buzz, anyway. » Thanks Marco. Has either doc posted their success with the results? » areas where donor was retrieved from? » That should provide an extra 3,000 - 4,000 grafts! » their sides and back short, some even buzz, anyway. Hey mj2003, thanks for the reply. By keeping the sides short, how short do you mean exactly? Can one keep their hair brad Pitt or Nick Lachey length on the back and sides with chest hair and get away with it without detection? » » farming i think. I am sure there are others too. » in totally with your head hair and grow slower or faster? I’ve seen a few results from coles clinic in Atlanta. They looked pretty good. » » Thanks Marco. Has either doc posted their success with the results? » » areas where donor was retrieved from? » » That should provide an extra 3,000 - 4,000 grafts! » » their sides and back short, some even buzz, anyway. » » » farming i think. I am sure there are others too. I don’t recall Nick’s hair and Brap Pitt’s hair length and style are always changing. I would assume the shorter the hair the less noticable. Anything less than half inch should be fine. Hi, the coverage value of a body hair follicular unit is only about half as much as a scalp hair follicular unit. Mostly the caliber of the hair and the differences in limitations are to blame for this. Generally body hair growth is much slower than scalp hair growth, but it can match very well for many patients. We have seen body hair grow much longer after it is transplanted to the scalp. We have seen body hair grow up to 6 inches on a scalp. Below is a patient who has 100% body hair transferred to the frontal hair line because his scalp hair resources were depleted. » better cut short on the sides and back of head. Here is a case of CIT farming. Farming includes each scalp hair and a non-scalp hair to be transplanted at once. The farming grafts are subject to the same limitations of body hair transplants and grow with the same limitations. Many patients who have this method performed don’t return and we don’t see many of the end results of farming. The yields cannot be predicted as farming remains a source of non-scalp hair. CIT farming is not always a 1 to 1 exchange and there are also many cases where only a percentage of the donor received CIT farming. The objective of the farming is to replete the donor area, camouflage missing scalp hair and stimulate the production of melanin. 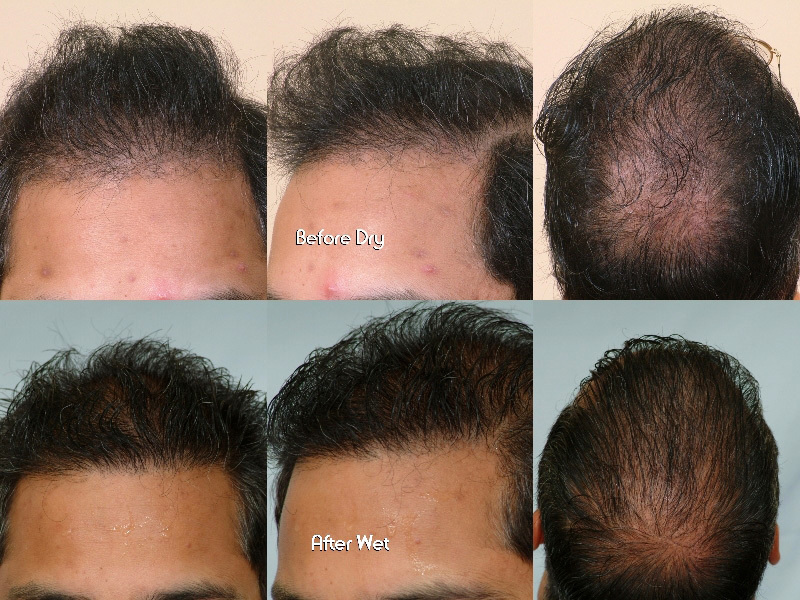 Patients who use CIT farming are those who have extensive hair loss, need repair, and may expect significant hair loss at a later time. The photos below depict the result of approx. 3000 CIT farming grafts to the donor area of a class 6 patient. The patient also received approx. 6000 CIT grafts to the top and frontal scalp. Typically we price CIT farming grafts along with each donor graft as one graft per exchange. 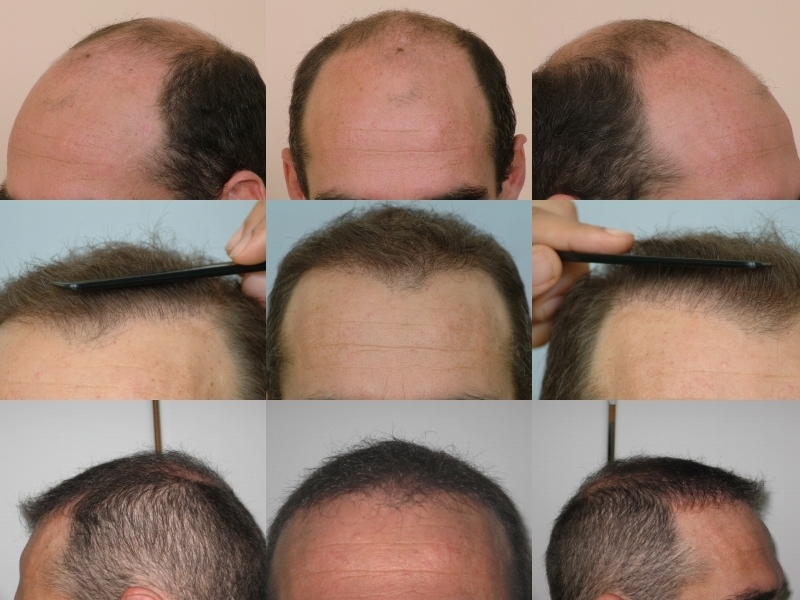 The price for a farmed body hair graft is less than a body hair graft transplanted to the recipient area (scalp). Thank you CIT for the photos and informative reply. An extra 3,000 grafts would go a very long way for many patients. The farming grafts which consist of 3,000 grafts extracted from the body…would that be equivelant to 3,000 grafts from the head donor to the top of the scalp? By the way, the farming grafts into donor sites are not detectable at all…very nice results. Thanks. » » better cut short on the sides and back of head. » loss, need repair, and may expect significant hair loss at a later time. 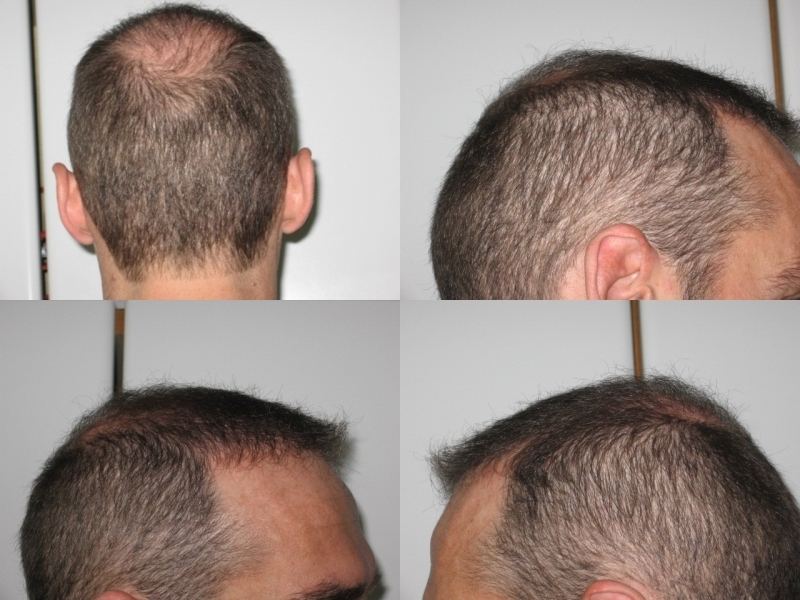 » the recipient area (scalp).